How to Lose 20 Pounds fast is a good question. You have to eat the right foods with exercise. Change your habits as there's no magic to rapid weight loss. If you read the title of this article and still eager to read it, you would certainly be happy to take up exercise to lose those extra pounds. As a matter of fact, I have intentionally added the ‘with exercise’ in the title to keep people away from imagining about any magical solution that I may be sharing here. 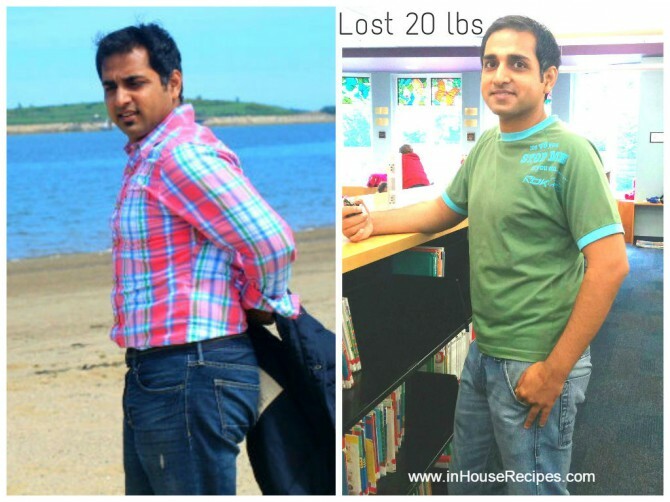 If you have read my previous excursions with losing weight where I lost about 4.5 Kgs in 1.5 months without exercise and then about the same weight (not fat) in about a week using GM diet, you would know that I have been struggling for quite some time to find a feasible and long term solution to say good-bye to the fat. Every-time, I have lost the weight in quick succession with no exercise, the weight has bounced back at double the speed. This is the bitter truth that I have been living through for past 3-4 years with just hoping and wishing to re-fit in my 32 inch waist trouser some day! As they say, every dog has its day…..I got mine in the last week of August 2014. Hurray! So, this article is all about sharing the experience of what I did, How I brain washed my own mind to board the bullet train with exercising to see that day. There are no shortcuts to success, you have to take the stairs! I have just gone through the following realistic points while making the transition and I hope they would help you too. The signs that you are obese or fat are not imminent to inner-self. My family also never told me that I am growing out of my clothes but the fact was something else. I got the first hint when my friends asked me to sit in car’s front seat to help accommodate more people at the back. Hmm…Sounds pretty normal but was a good enough signal to know that people see me as Obese! It is easier to imagine the great physical appearance of our Bollywood stars and then crib looking at your own bulge! But, if you want to stop cribbing, the only way is to understand what they do to maintain that body. I had started my research from here and then read about what they eat and what not. I think everybody who is trying to lose weight sincerely knows what needs to be done but still our mind pulls us away from doing it. 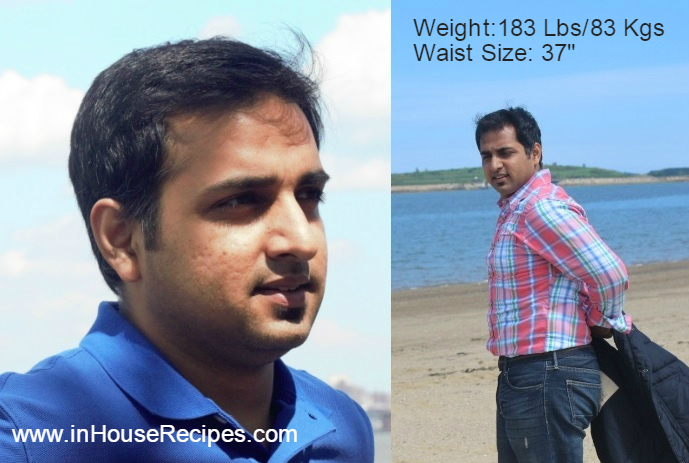 I read about how Arjun Kapoor did it, then read about the TV star Ritvik’s daily schedule and couple of other famous weight loss stories. The single thing that stood out in their story was not to DIET or stop eating, but was to change your HABIT. Almost all of us do not lose weight just because we don’t understand this basic principle. Losing weight should not be your goal, but changing your habit to include more good food should be. Hitting the gym with a mindset to lose weight is just going to help you stay there for about a month or two with the breaks pumping-in when you reach your goal. Ever imagined what happens next? Your start getting the fat back. So, the first advice is to change your habits and include the exercise and ‘good food’ (explained later) in your daily schedule rather than consider it a small project of 3 months. One of my close friend Ashish gave me the million dollar advice. Decide and choose one direction. Either eat whatever you like or lose weight by doing whatever it takes! We all know about it…isn’t it? Of-course, I also knew this but never took it seriously. You can’t sail in two boats. It is easier to choose one and then move ahead. I finally adopted the advice and the results started to show up within a week. There are always 20% of the resources that produce 80% of total revenue. And on the other hand, there are always 80% of resources in a business that only produce 20% of output. This is a generic rule and can be applied to any area of life. 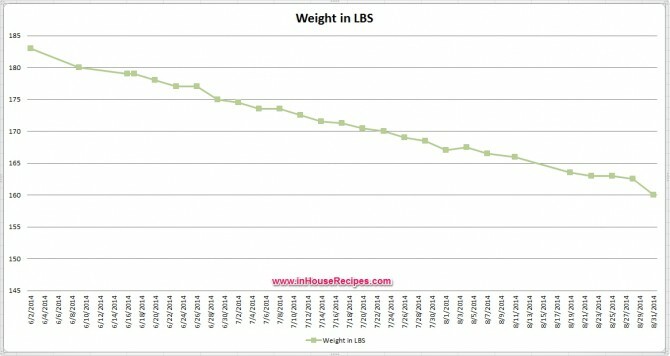 So, I used in my case of losing-weight. 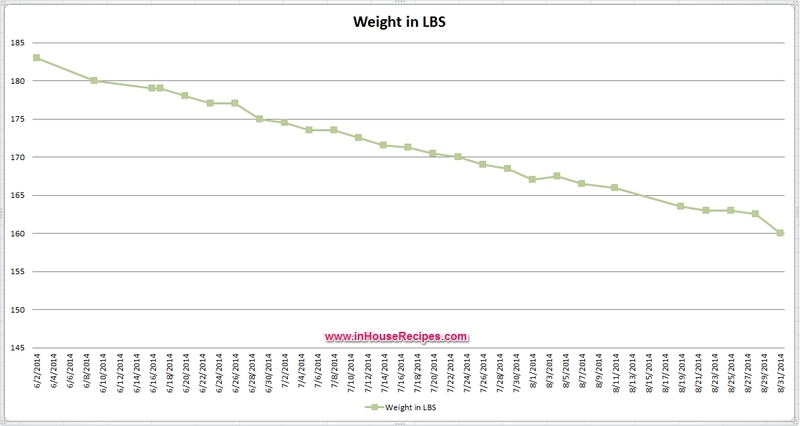 The results were pretty much self explanatory after analysis of my food intake. – The 80% of un-healthy food that I ate each day was just contributing 20% to my weight loss target. – or in other words, the 20% healthy food that I took each day was responsible for 80% of health. So, the action plan was to increase the 20% healthy food portion and contribute much more in the weight loss. The plan works irrespective of your exercise and diet. You start replacing each non-healthy food with a healthy substitute and the results would be visible. This is a sincere advise to all who are looking to really lose weight using the fastest lane. 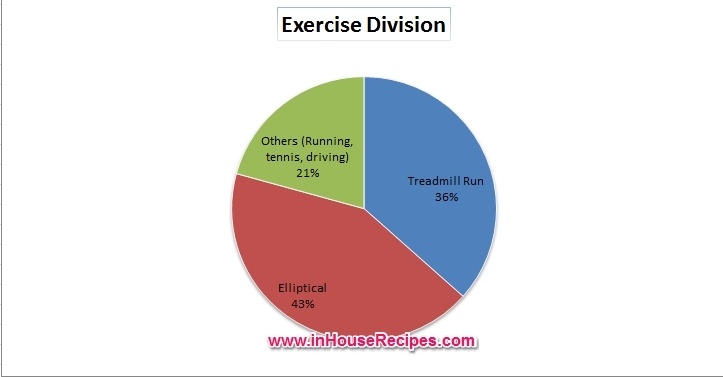 I was losing approximately 2 pounds a week when I was using treadmill and Elliptical (alternate days) for 33 minutes a day. Using an application like Noom Coach helps in the way that it helps you track what and how much goes in the body. The thing I liked in this app is, it classifies each food item into RED, GREEN and YELLOW categories. It has options for Indian food items too. I manifested this explanation in my mind to relate to each food. The RED item is delaying your weight loss. The YELLOW one is keeping your weight stagnant. The GREEN item is helping you lose weight. You can also follow and see the results for yourself. I have achieved the stable weight loss with the above steps. I have also reduced my stress levels and increased stamina (can now play 3 straight sets of Lawn Tennis (singles) with ease! Hurray!). It is important to form good habits and embrace healthy food. The money that you spend in restaurants eating all the RED food can be re-directed to buy the healthy ones. 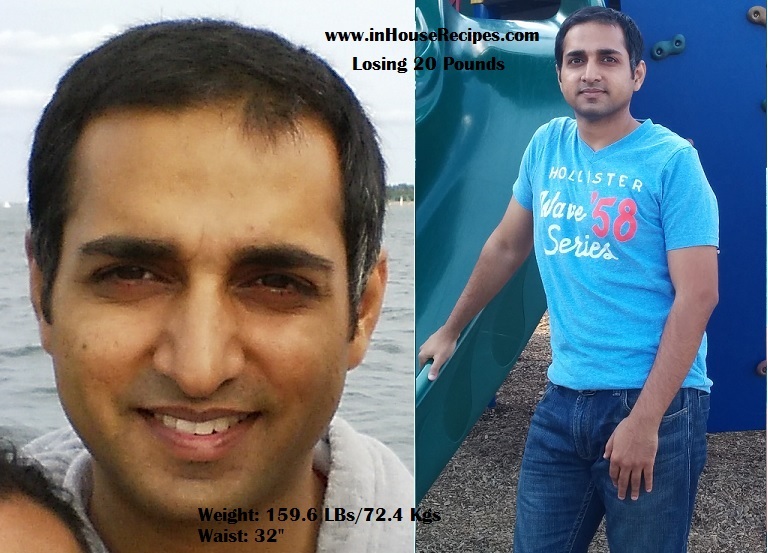 I was loosing 480-500 calories a day simply with the exercise. The other idea was to double this number by reducing food intake. Hence, I focused on eating about 1350-1400 calories a day. So effectively, I was trying to burn about 1000 calories a day to make sure I reach the target of burning 2 pounds of fat a week. I had set the target of some-how burning 70,000 calories as they constitute the 20 pounds. Now, if I could burn 1000 per day for up-to 70 days, I can easily achieve that. Isn’t it? The numbers give shape to a virtual imagination and some concrete picture. But, keep in mind that your body will take time to adjust to your schedule in early days (about 15-30 days). You would probably not be able to run 4 miles or burn 1000 calories in initial days. This is precisely the reason, I took about 90 days to reach the target of 20 pounds. White Basmati Rice Brown Basmati Rice Brown rice makes you feel fuller for much longer time than white ones. Fat Yogurt/ Curd/ Dahi NON – fat Yogurt/ Curd/ Dahi Non-fat version has more protein. If you want to extract non-fat one from the fat version, try this Hung curd recipe (also called Greek yougurt). White Bread 100% Whole Wheat Bread (Brown bread) It would take about a week to develop the taste for brown bread, but it will be worth it. Believe my words – Once you have the taste, you won’t feel like going back. Maggi/Jave/Sooji Upma etc. NONE All these are made with refined flour (called Maida). These are YELLOW items. You can have them for taste. I kept myself away as I wanted to be in the fastest lane. Fried NONE There is no replacement. It is a RED item. STAY away. Sugar Fruits There is absolutely zero sugar except what is available in the fruits (called fructose). I used to have at-least 2 fruits in my mid-morning and then afternoon snacks. Paratha 100% whole wheat chapati/Roti Pretty self explanatory. Tea/Coffee/Cold-Drinks Green tea (No sugar) Self explanatory. The legs and sometimes foot starts to pain as soon as I start walking towards Gym – This is nothing but the thinking mind sending signals to skip the exercise unless it is really an injury. It never was in my case and hence, I just never listened to it. The thinking mind convinces to take a break (rest day) every now and then – I consoled it using my observing mind by giving it a carrot of ‘doing lesser work-out than normal’. If you want to know more about ‘Observing and thinking mind’ concept, watch this awesome seminar from motivational speaker Sandip Maheshwari.As a matter of fact, I have completed watching his series of motivational seminars while doing these exercises. It has helped keep the momentum going and made my mind think ‘Asaan hai‘ (Its easy). Eating 1 piece of Kaju barfi (sweet pie) won’t hurt – Yes, it can. It is okay to eat 1 piece with respect to calories but not in attitude. Have you ever noticed that sugar (does not matter if low quantity or more) triggers your mind and body to consume more? It does scientifically. It is dense in calories and won’t let you feel full until it has already done the damage to your daily maths. So, stay away from it. Going out with friends on dinner is okay if I don’t eat/drink anything. – Not sure about you, but I am more susceptible to cravings when I see the food. Staying away from even the smell was my priority to help control my mind and tongue. If you believe my words, it works. Date Breakfast Cals Morning Snack Cals. Lunch Cals Afternoon Snack Cals. Dinner Cals. Evening Snack Cals. I have now started working on a new challenge to improve my hair density. This is to save my falling hair and hopefully grow more of them. I will share the details in next 90 days with the results (positive or negative). In the mean time, if you have any tips on head’s hair growth, do let me know and I would like to try.